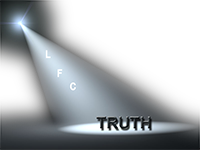 Home › Uncategorized › A “Post-Truth” World…a “cause or a symptom”? A “Post-Truth” World…a “cause or a symptom”? I was exposed to the “Post” world years ago when I was discussing Bible theory with my neighbor. He stated, quite matter of factly, that Europe was ‘post-Christianity’. That statement caused me to do some research, and to my amazement, I discovered that he was absolutely correct. Church attendance was plummeting, and buildings were being converted into everything from day care centers to Islamic mosques. Since that time, I have been hyper-sensitive to the phrase “Post…(insert your word here)”. After reading a disturbing article in the New American, I was exposed to “Post Truth”, and discovered it was the word of the year in 2016. I was then motivated to find out exactly what it meant, and how can people be deceived in a post-truth world. After reading the definition, I then realized what we are dealing with – propaganda, indoctrination, brainwashing. Years ago, I watched an old video of a former KGB agent explaining how the Russian infiltration and indoctrination works on a society. I was always struck by his statement that after the indoctrination (brainwashing) is complete, no matter what truth you place before the individuals, they simply will not believe it. We see the brainwashing going on in our society today. Post Modernism (another post word) says that there are no truths, all truth is relative to the individual’s belief system. This thought process permits all sorts of perversions, and beliefs to be accepted as normal behavior. So what does this all mean to Lobbyists For Citizens? It means that we are in for a long, difficult battle as we try to appeal to the logical thought process of taxpayers with facts and figures, while the other side, the greedy deceivers interested in maintaining their power, and pensions, appeal to the hearts and emotions of taxpayers. Somehow we must find a way to demonstrate that pushing our seniors out of their homes and into the streets is very unfair and un-American. And that is the TRUTH! ‹ DeWine…less testing, more funding for schools…really? This is an excellent description of what America has become! I wonder…is this a case of “good people doing nothing”? Marie, exactly correct. We have become fearful to state the truth. Even many of our church leaders are now politically correct.